Indian banks need no introduction about its stupendous growth which it has achieved over the last 15 decades. Indian economy went through various phases through which the Indian banking segment went too and finally transformed India today to be one of the developing nations. In this research article I have tried to depict the revolutionary changes going to happen in the banking space over the next decade. In my research I had some findings where the level of hypothesis might be extreme but we must not forget that we are discussing for a system over the decade. Penetration of the banking system will grow to an optimum level. Well in fact it has to grow since number of population is increasing and would grow continuously over the decade. Here are prime areas where the banking industry has to grow without any alternative. 1. Bank branches and ATM would grow by 5x from the existing levels. Since opening up small branches with limited manpower and developing an ATM facility is the cost effective process of developing the banking network. 2. In today’s era banks are struggling to have deposits at their end since liquidity crisis is chasing the system. If banks had banking network in rural parts of India either through a branch setup or through an ATM point much of the liquidity crisis would have avoided. In the coming decade this will be identified and implemented within the banking network. According to industry study their will be requirement of around 1,90,000 ATM’s over the decade and around 40000 to 50000 branches. Well very huge amount of capital storage would come to banks in the coming decades. 3. Banks liabilities are going to grow by around 10x of what we have in term of infrastructure financing alone. Since private participation is less attractive much of the dependence is going to pass on the bank books in the coming decade. 4. Mortgage financing which seems to be lucrative business revenue for the banking space would turn out to be a huge business volume in coming decades. Affordable housing followed with borrowed dreams mortgage financing is going to pick up. 8% GDP growth of India is bound to increase the infrastructure spending as well as the mortgage business of the banks. Housing finance is another aspect which would spook the bank mortgage financing segment. Cooling of interest rate and positive GDP outlook of India would spook up the demand for this segment. 5. Indian is now turning away from the middle class segment and growing to a rich classified segment in term of wealth. Now the average salary ranges between Rs.40000 to Rs.100000. This is going to increase in parallel to the inflation numbers adjusted over the decade. Today banks are selling third part products but over the decade the banks are going to turn towards wealth management a service which is still at a nascent stage in a country like India. Revenue from wealth management fees would turn out to be a substantial part of the banks revenue model in the coming decades. Banks are still the safe place for parking funds and the best place being still treated to pass on the legacy of the wealth. Hence wealth management is going to be the next revolution business model for PSB segment. 6. 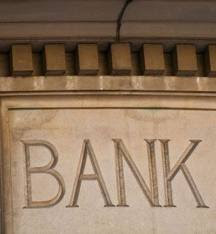 Banks would be using CRM segment extensively since banks would be the leaders of data of retail and corporate clients. This would help them to reduce customer acquisition cost. Extensive judicious use of CRM would develop the competitive advantage of the respective banks in the more competitive place in the coming decades. The biggest challenges lie for the PSB in CRM segment. 7. SME segment is often being ignored by the Indian banking system till date. But this is the segment for which in the coming decade Indian banks would jump into the ocean of competition since large companies would be sufficient capitalized that their dependence on the banking space would be less and more on the overseas form of capitals. 8. Banks are far from creating innovative models for the SME channel which itself gives immense opportunity for the Indian banks to grow. Pricing and products are going to be the key for the PSB catering to the SME. 9. Investment banking the prime contributors to the GDP growth is going to grow stupendously over the decade. In fact as per my calculation investment banking would grow by 10 folds from the present volume. Merger and Acquisition are going to be the key for driving the investment banking industry growth. 10. Risk management is going to be key with the expansion of business networking for the PSB. Financial Inclusion is going to be one of the key challenges. Expanding the bank network is not sufficient. Flow of capital is the key for the financial inclusion. Loan books in Tier 2 and Tier 3 and 4 cities are going to be the key factor for deciding the wave of financial inclusion being achieved. The present cost structures of the banks are unfruitful for the rural banks. Co-operative banks needs to be given more leeway and more stringent management affairs needs to implemented so that the banks becomes viable towards the path of financial inclusion. Micro finance intuition plays pivotal role in India but their business model is subject to stupendous risk. Hence banks need to adopt healthy risk management strategies so that banks become viable in rural markets. Low ticket size business is the main reason for banks not to open up shops in rural India. They need different strategies and cost models to open up shops in rural Indian and get on the tract of achieving financial inclusion. Recruitment, training and cost effective business model is important for the banking industry in the coming decades. Banking process needs to adopt the balance score card so that entire management process gets new shape and grows with defined parameters. The four pillars of balance score card is going to be the key metric for deciding the type of products, customer management strategies linked with revenue model of the banks. Employee growth and learning would play the key in bring innovative products for the Indian economy in coming decades. Its imperative whether it’s an private bank or an PSB both equivalently need balance score card. Well in my next article I will come up with banking balanced score card and risk management.